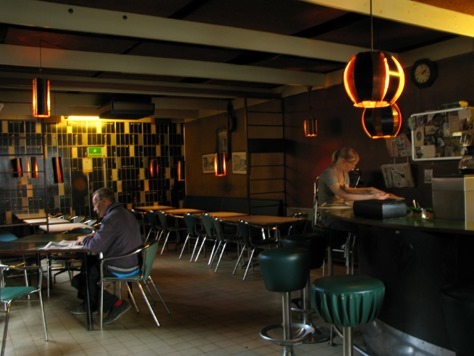 Teddy’s Softbar in Oslo opened in 1958, and the fifties interiors are largely intact. Teddy’s originally served soft drinks, ice-cream and the like. Today alcoholic beverage are the base of the operation, but they also serve food. 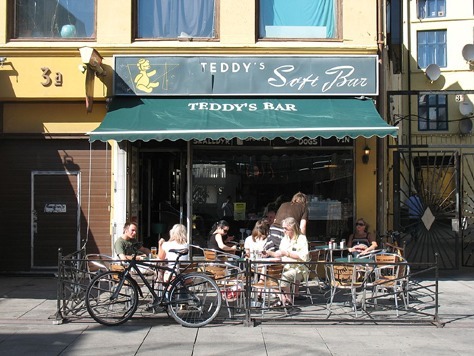 The last few decades Teddy’s have enjoyed guests with connections to Oslo’s rock scene and other aspects of the city’s cultural life. 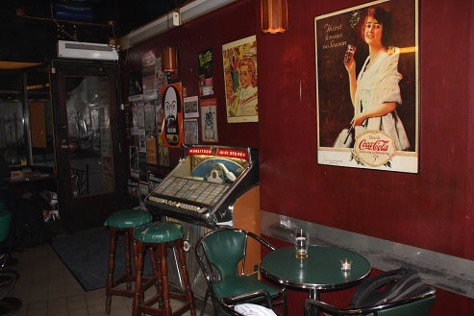 From time to time concerts are arranged in the small bar. What is the most played song on the jukebox? Numerous copies of the Herman’s Hermits’ single “No Milk Today” has been worn out over the years. It has been played so much that at times it has been banned from the jukebox. For example, it is not in there now. What Is the most popular drink? Currently it will have to be Gin & Tonic, but previously Spitfire was very popular among the customers. Drink trends come and go, but beer is always the undisputed winner, anyway. What Is the most prominent persons to visit Teddy’s? Back in the late seventies when the place still really was a soft bar my dad got a call from a man who wondered if there was a lot of guests attending at the moment. He could confirm that it was not. A few minutes later a large black car rolled up outside. It was the King’s grandchildren who’d fancied a milkshake. Of All the well known faces who have entered through the doors, who has been most satisfied? Ike Turner stopped for lunch here. He claimed that we made the world’s best BLT. He was so pleased that he went into the kitchen and kissed my mother’s hand, since it was she who had cooked the meal. Egg & bacon, with fried potatoes. It is also probably the dish that has been the longest on the current menu.